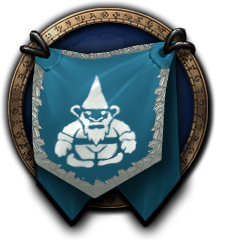 Cult of the Plush Gnome is a World of Warcraft® Alliance Guild on the merged Windrunner and Darrowmere Realms. These Realms are on a West Coast Server and operate on Pacific Daylight/Standard Time. CPG is a long established, PvE oriented, alt friendly, fun loving guild with a focus on maintaining a relaxed, yet responsible community. We are 21 or older, helpful, polite, and have fun in all aspects of WoW. We are a guild of diverse interests, ages, and talents that have built a mature and respectful community since 2007. We aren't the best at any one thing, but we do have a lot of fun. Members are free to sign up for whatever catches their interest. We occasionally organize crazy-fun social events. We have some interest in PVP but no organized groups at this time. We organize 'retro-raids' for fun and achievements. By casual raiding environment we mean we do not consider ourselves a 'Raiding Guild'. Our aim is to be inclusive and get all interested players into raiding. If this means taking turns with limited roles, being asked to bring an alt, or ending up with some crazy class balances we go with it...and we have fun. We currently raid on Friday and Saturday nights. Both raids start between 7:00-7:30p.m. PDT/PST. Each raid usually goes for 2 to 3 hours. Times posted are Realm time. When we have enough players, ability, and interest we will consider another raid timer.